​​Do you recognise this man? Do you recognise the man in the E-fit photo? 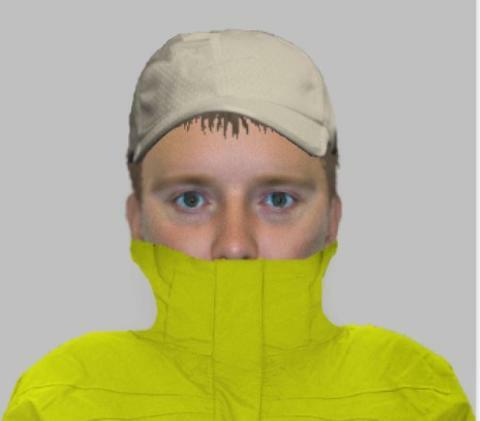 We would like to speak to him in connection with a burglary in Fareham where a man was threatened. The incident occurred between 10.20am and 10.58am on Tuesday, November 20. Two men forced their way into a flat in Holly Grove, Fareham and threatened the 30 year old man within. They carried out an untidy search of the premises before making off empty handed. They are believed to have been travelling in a white transit-sized van from Enterprise van hire. The first man is described as being a white male, aged between 32 – 38, approximately six feet tall with a stocky build and short brown hair. The second man is around the same age and height, of average build and with short black hair. He is described as having very dark eyebrows, dark stubble and a long face. He was wearing a black Parka style jacket. If you saw anything on the day or if you recognise the photo, please contact 101, quoting reference 44180435193. If you have any information about this crime or if you recognise the photo, please contact 101, quoting reference 44180435193.